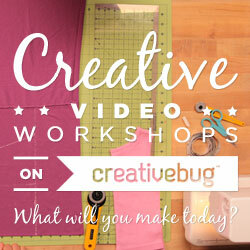 Sewing crafts can be a great way to get started with sewing. Craft items are attractive and this can be a cost effective way to decorate your home with unique items. You can also make items to help keep things tidy such as organizers and totes. Making a tote is a great project to get started with sewing crafts. There is a lot of advice available online on the amount of and type of fabric you will need. A simple tote needs just fabric, thread and webbing and the stitching is easy. Once you have mastered the simple tote you can apply the same principles to add pockets or to make organizers with a similar shape. Quilting is popular with with those interested in crafts, and these decorative items make great gifts! 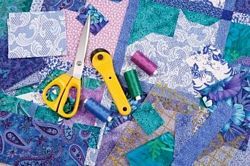 To get started, you will need to have the right quilting tools and notions – and the right equipment. If you plan to do a lot of quilting, then choose a heavy duty sewing machine with a walking foot and a quilting bar. You will also need a cutting table in your sewing room, as you will have to manage large pieces of fabric. One of the key tools you will need to make these decorative items is a rotary cutter, which is essential for taking the hassle out of cutting. Don't forget to get a mat to protect your cutting table. A rotary cutter will not completely replace scissors, as you will need these for cutting shapes. Marking tools will help you to align pieces of fabric – choose soapstone or a marking pencil for good results. Disappearing markers are also useful. Templates, pins, needles, stencils and pressing aids are also useful for making quilts. 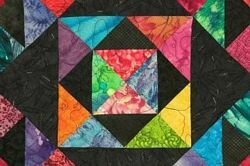 Quilting notions can make the creative process easier. These include items such as spray adhesives to keep patterns and fabric where you want them. You can get temporary spray adhesive to keep layers of a quilt together while you are sewing. Products with fusible web in place make it easy to apply these to your quilt, while threads, appliqués and stabilizers are useful. Many quilters also use tear away stitching guides and you can find all these online from stores offering craft supplies and sources. Sewing crafts is a great way to make decorative items for your home. Adding your own creative touches will ensure that they are unique.